Opel's Bochum plant, shown, employs 3,300. FRANKFURT -- Opel confirmed it will close its Bochum plant in Germany in 2016 when the current version of the Zafira minivan is replaced, as the automaker does not expect Europe's auto market to recover soon. The General Motors Co. unit will look to develop the site's component and distribution operations in an effort to reduce job losses, Opel said. The plan is part of Opel's goal to become profitable by the middle of the decade. In June, Opel said it would not build the Zafira successor at Bochum. "Despite rigorous efforts, there was no success in changing the situation. The main reasons are the dramatic declines in the European car market and the enormous overcapacity in the entire European auto industry," Opel said in a statement on Monday. Steve Girsky, GM vice chairman and acting president of GM Europe, said in the statement that the company will negotiate with the factory's works council to try and avoid forced lay offs before the run-out of the current Zafira. Opel said it will preserve some jobs in its Bochum warehouse and that it is talking to employee representatives about allocating new component production to the region. The Bochum factory, which is in Germany's Ruhr valley manufacturing area, employs 3,300 workers. GM expects its European operations, which include the Opel and Vauxhall brands, to lose between $1.5 billion to $1.8 billion this year. Auto executives in Europe have said this year that they don't expect industry sales to recover before 2014. Opel is eliminating 2,600 jobs by the end of this year in an effort to reduce spending by $300 million. It has a target of reducing costs by another $500 million from 2013 through 2015, according to plans announced in late October. The Bochum closure is part of the unit's long-term plan to return to profit called Drive Opel 2022. Under the plan, Opel aims to increase revenue and variable profit significantly by more cost-efficiency, re-focusing its go-to-market strategy, improving the Opel brand image, strengthen the quality of market share and entering new markets and segments. From 2012 to 2016, Opel will launch 23 new models and 13 new engines. 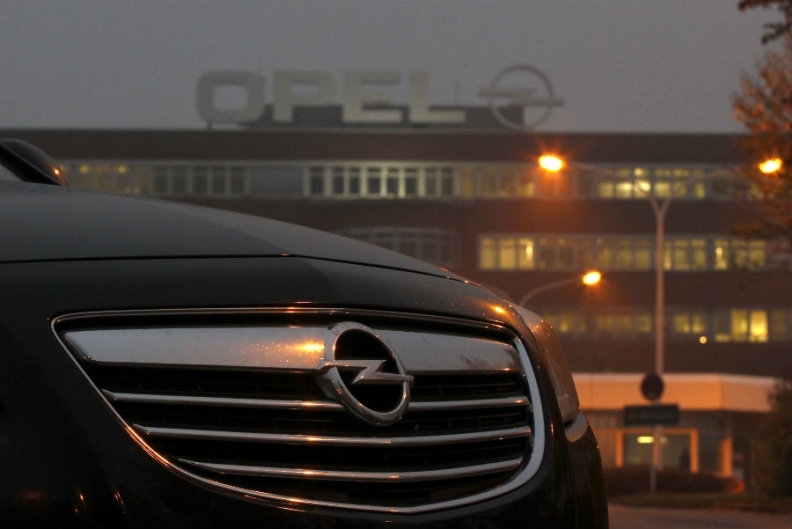 Opel's unions still hope to save Bochum from closure, the local labor leader Rainer Einenkel said on Monday. A spokesman for German Chancellor Angela Merkel said the closure was regrettable. "The Chancellor and the government regret this decision," said spokesman Georg Streiter. "It's a severe blow that affects a lot of people and their families and the Bochum region as well." He said Opel is a carmaker rich in tradition in the region and the government expects GM to handle severance packages in an appropriate way. "The German government has the expectation that the parent company General Motors will do everything possible to find socially acceptable solutions," he said.